Taxpayers were supposed to pay less in taxes in 2018 under the latest overhaul of the tax system. But so far, federal income tax refunds don’t reflect that. New data from the IRS show that returns are lagging the pace of last year’s filing -- not surprising given the government shutdown. But the refunds that have been sent out so far are about 8 percent less than at a similar point last year. Refunds to date have averaged $1,865 compared to $2,035 for 2017 returns. On the surface it would seem to suggest that the tax cuts passed by Congress in late 2017 aren’t helping the average consumer. But there could be another explanation. Many taxpayers may have adjusted their withholding and didn’t pay into the system as much as they did in previous years. We’re also early in the tax-filing season because of the government shutdown. 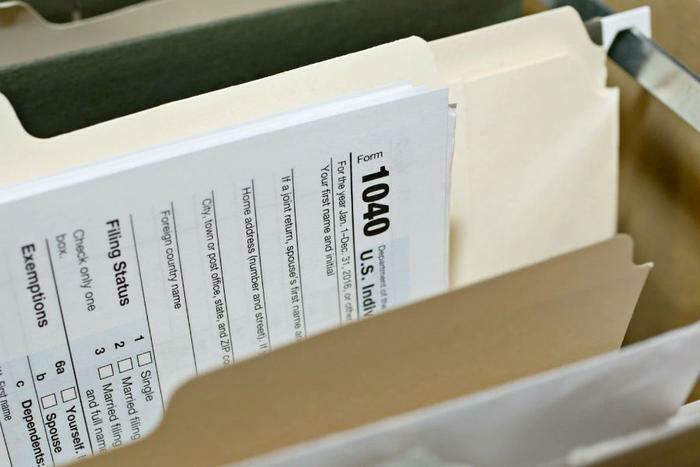 At this point in 2018 the IRS had processed nearly 18 million tax returns. To date, the agency has processed just over 13 million. There were significant changes to the tax law for 2018, many of them affecting middle-income earners. First, the new tax law lowered most tax rates. More importantly, it nearly doubled the standard deduction, shielding more income from taxation. Many workers saw an increase in their paychecks after their employers made adjustments, but it is possible many employers slightly under-withheld, resulting in smaller refunds. According to the IRS data there have been 4.6 million refunds so far this year, but that is running well behind the 6.1 million refunds that had been sent out at this time last year. The IRS has distributed $8.7 billion in refunds so far compared to $12.5 billion in refunds at this time last year. It’s tax season. Are you ready for all the new changes?